Stranger Things season 2 is fast approaching. Netflix absolutely dominated the pop culture conversation last year with their 80s throwback sci-fi series and demand for more episodes is very high. Luckily they were able to get season 2 in production quickly, with more Strangers Things set to arrive just in time for Halloween this year. One burning question fans have is, are we going to get justice for Barb? A brief new Stranger Things season 2 promo hints at that possibly being the case. The official Stranger Things Twitter account debuted the new promo for season 2 just ahead of San Diego Comic-Con. Netflix is going to show some new footage from the upcoming season at the event, but this new promo gives us a little bit to chew on just ahead of the event. 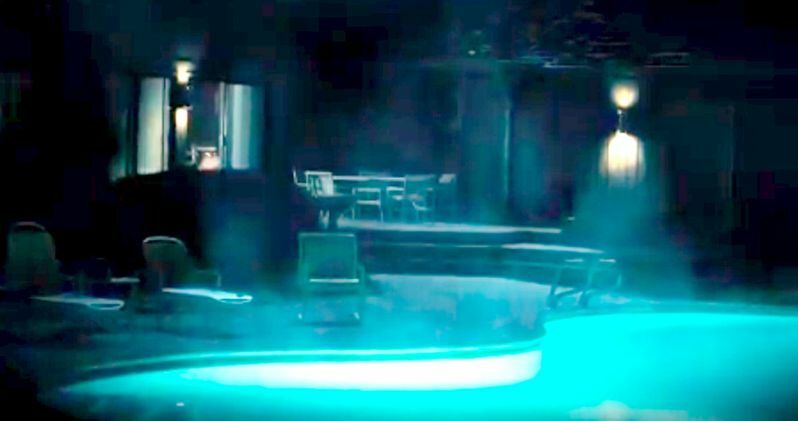 The video shows the pool that Barb (Shannon Purser) was attacked and kidnapped at. The teaser also has a pretty ominous caption that proves this season of Stranger Things season 2 will not ignore the fan favorite character. "Nothing ever went back to normal." As much as fans, who created a social media campaign #JusticeForBarb following Stranger Things season 1, want to see Barb come back, she is most definitely dead. It was probably hard to imagine that a character with so little screen time was going to resonate so intensely with fans. This has been confirmed several times. But series creators Matt Duffer and Russ Duffer have promised that Barb will not be forgotten and that her death will have a major impact on the other characters and residents of Hawkins. "I can't see it happening. But Barb will not be forgotten. We'll make sure there's some justice for Barb. People get very frustrated, understandably, that the town doesn't seem to be really dealing with Barb. That stuff is all happening. We're just not spending any screen time on it. It's not like her parents are like 'Oh Barb left. She died!' Season One actually takes place over the course of six or seven days - it's a really short period of time. So part of what we want to do with hypothetical Season 2 is to explore the repercussions of everything that happened." Netflix recently confirmed that Stranger Things season 2 is going to be made available to stream on October 27. So plan your Halloween binge watching party accordingly. We are probably going to be treated to a much better look at the news season this weekend during San Diego Comic-Con, so be sure to keep your eyes peeled for that. Maybe we'll learn a little bit more in terms of plot? Could we get our first look at Sean Astin and/or Paul Reiser? One can only hope. In the meantime, be sure to check out the brand new Stranger Things season 2 preview for yourself below.